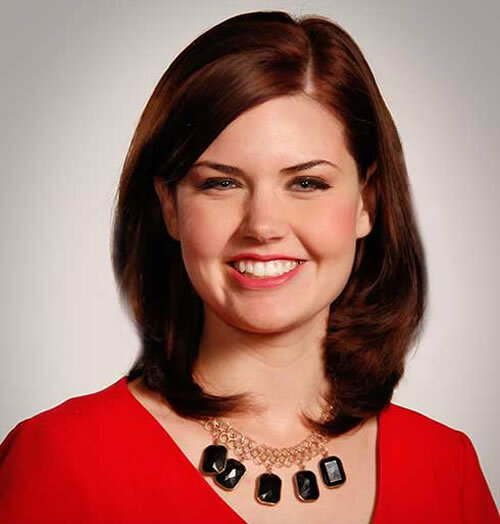 Lauren Rozyla is a journalist who joined the 8 News NOW team in July 2012. Rozyla has won multiple awards and honors for her reporting, including a student Emmy for her live coverage of Barack Obama’s campaign, specifically for a rally held the night he was elected President. She also won “Best News Reporter” by the Michigan Association of Broadcasters. She’s also worked on in-depth investigations as a freelance writer for the Chicago Tribune, where her piece, “Doubts Cast on Whether ’04 Police Shooting of Girl, Suspect Was Justified,” demanded answers from local police, examining whether officers were planting evidence, putting a potentially innocent man in prison. Lauren has also worked as an investigative researcher for Pam Zekman, a Pulitzer-prize winning investigative reporter for CBS 2 Chicago, working to uncover plastic surgery scams and problems with a few Chicago-based boutique pet stores, allegedly selling underweight, unhealthy dogs purchased from puppy mills. Lauren attended Columbia College Chicago, where she graduated with honors with a degree in television broadcast journalism. She began her career at WBKB-TV in Alpena, Michigan, where she served as the primetime anchor and news director. She is a member of Investigative Reporters and Editors. Lauren is originally from Flint, Michigan, where most of her family still lives. She loves animals and has two pets: Hank, a 15-pound tabby cat, and Sophie, a long-haired Chihuahua Mix.